Mr. BEAUJEU Marius opened a cutlery at the Pont de Celles. This cutlery specializes in high-end products, and around twenty employees work there. Mr. Lucien VERDIER my grandfather, himself son and grandson of BLACKSMITHS and CUTLERS, started working for Mr. BEAUJEU at the age of 15. He will learn there the different stages of cutlery production and will specialize in grinding. Thiers's cutlery activity is at its highest. 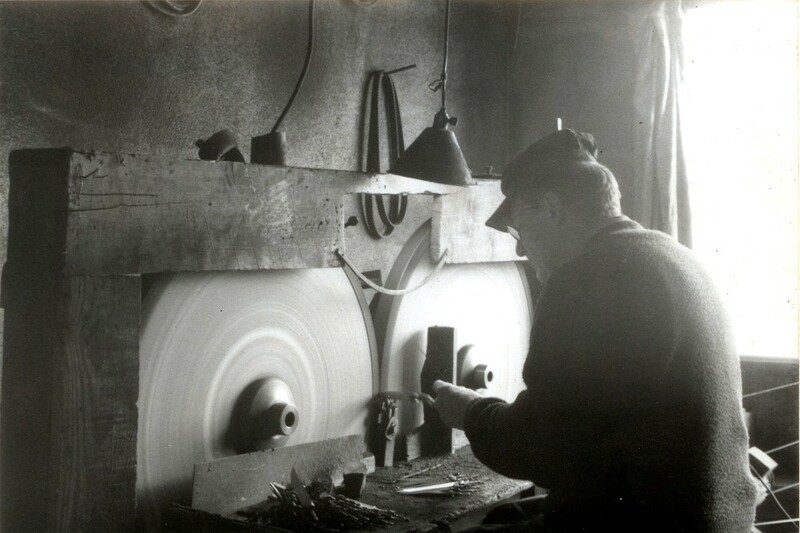 Lucien, encouraged by Marius, his employer, decides to set up on his own shop "VERDIER Lucien cutlery grinding and polishing" in Chazeau, a village that is only a few hundred meters distant from the Pont de Celles. Thiers's knives are a reference in Europe and in the rest of the World. The factories "VERDIER Lucien" become "VERDIER and son" with the arrival of my father Mr.Louis VERDIER. Louis will learn from his father the techniques that will give a reputation of quality to " Ets VERDIER et FILS". 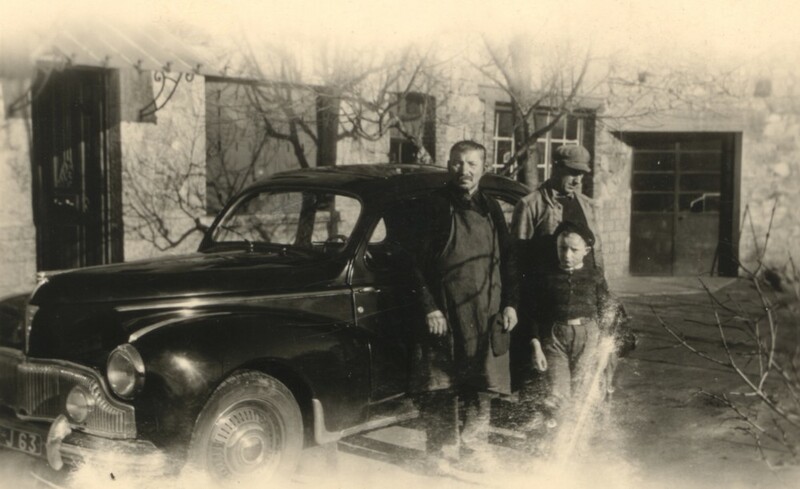 Upon my completion of military service, it was my turn to get into the family's business. Thanks to the wise advice from my elders, I specialize in polishing and in high-end finish on forged knives. My brother Stephane gets into the business too. Mr. BEAUJEU has passed away. His shop at the Pont de Celles are left vacant. So thanks to Marius BEAUJEU's daughter, Bernadette, we acquire this place steeped in history. 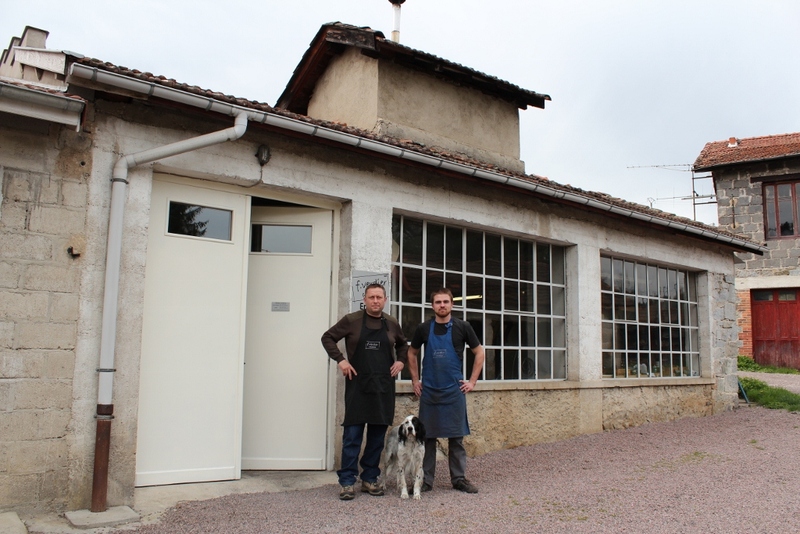 After several years, the cutlery of the Pont de Celles revives and becomes the factory Frédéric VERDIER Coutelier. The coutellerie F.VERDIER COUTELIER opens to the public, and offers visits of the workshop. 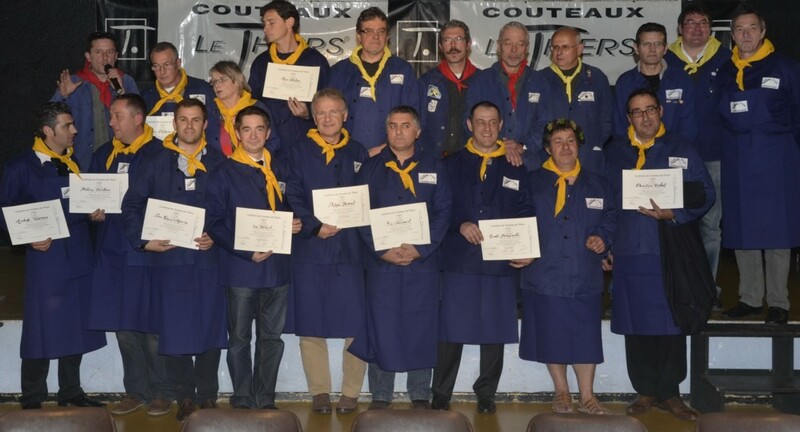 As a cutler, manufacturer of the folding knife " LE THIERS ® " , I am a member of the brotherhood of Thiers's knife.